If you can’t be happy on a day like today you will never, ever be happy. That, and The Eagles are bar none the world’s greatest ambassadors for traveling Californians. Also, everyone loves Michael. Err, and Willie is crazy (in a good way). And to think, it all started with some after lunch pisco sours. Wait. Scratch that. I’m a bit fuzzy. Sorta fuzzy. Mostly fuzzy. Just fuzzy. When we got into town, I went in search of the girls. 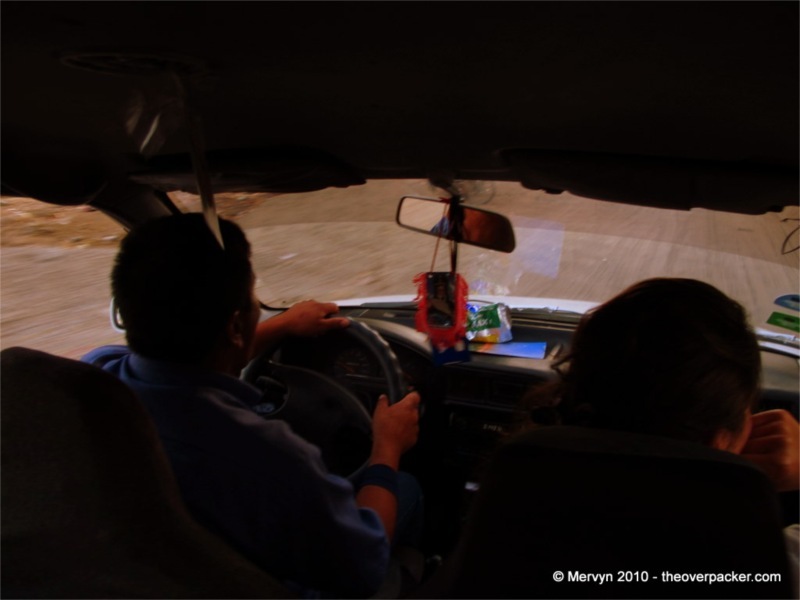 Willie, my friendly cabbie/tour-guide-to-be, trailed me into where we were supposed to meet, a hostel at the end of town. As luck would have it, I ran into Heather and Marie finishing up breakfast in the hostel restaurant. I headed inside to get a bed and by the time I was checked in, Willie had gotten the girls to agree to an afternoon winery tour. The man’s good. With a couple of hours to kill before our tour, we explored the desert oasis. 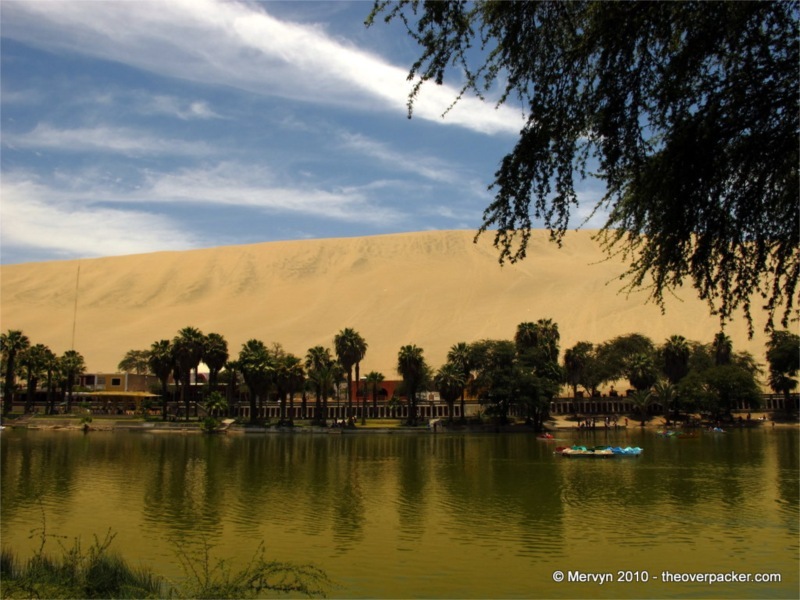 In the center of Huacachina is a small, dark water lake surrounded by the town’s restaurants, hostels, and tour offices. Encircling the town are sand dunes hundreds of feet tall. It’s easy to see how this place got to be a sandboarding Mecca. Hold up. Noooooooow we get to the pisco sours. After completing our circuit (20 min.) 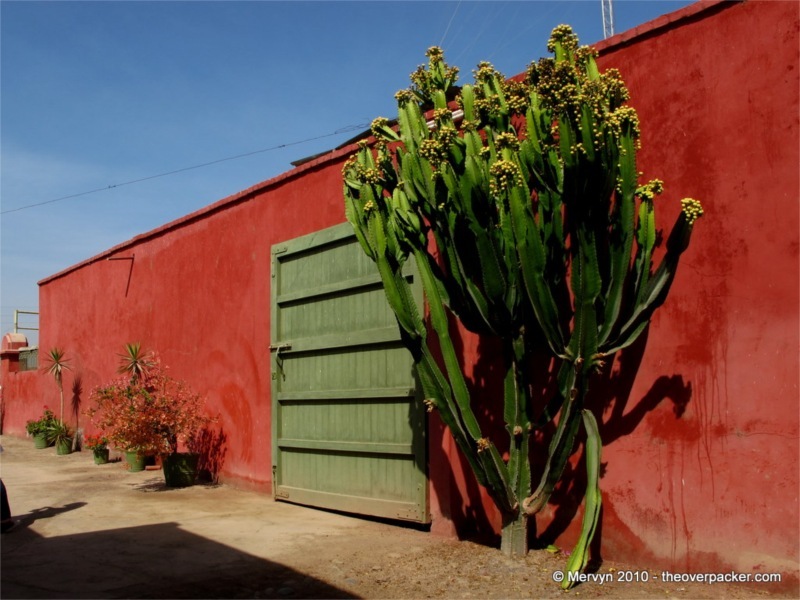 we sat ourselves outdoors in the heat (first time in Peru without socks!) 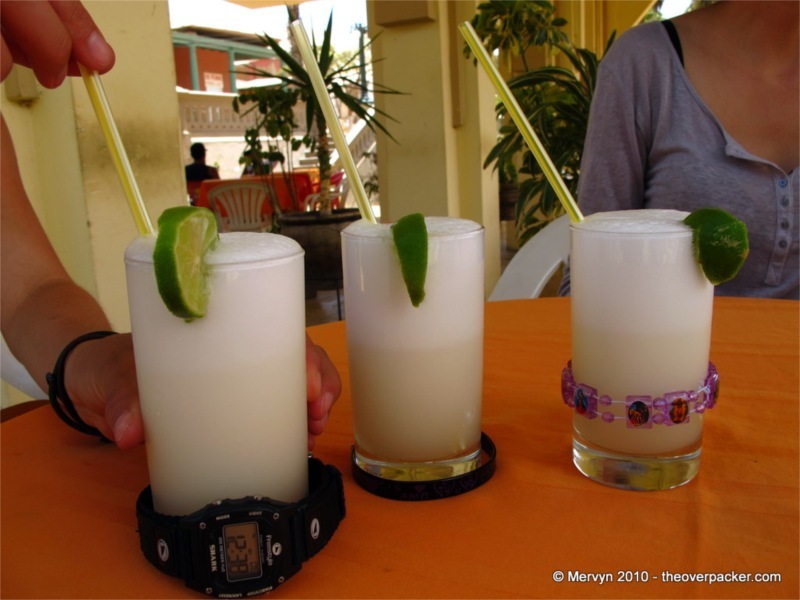 and sipped the Peruvian classic (pisco—a local grape liquor— plus simple syrup and lime, all whipped with an egg into a white foam). It’s pleasant enough. Before we knew it, it was time for our tour. Willie picked us up in his late model taxi wagon. 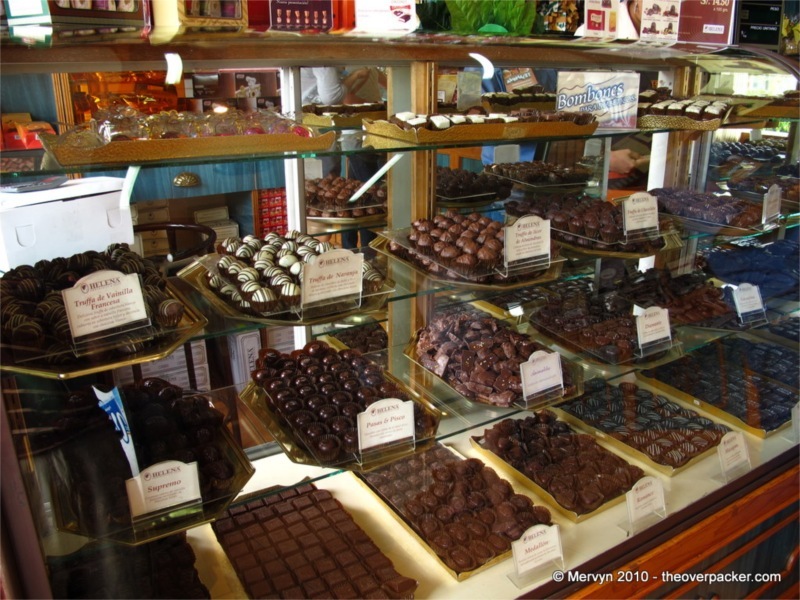 Serenaded by Willie’s Bob Marley mix, we were off to a chocolate factory (as Willie whispered to me, “For the ladies.”). 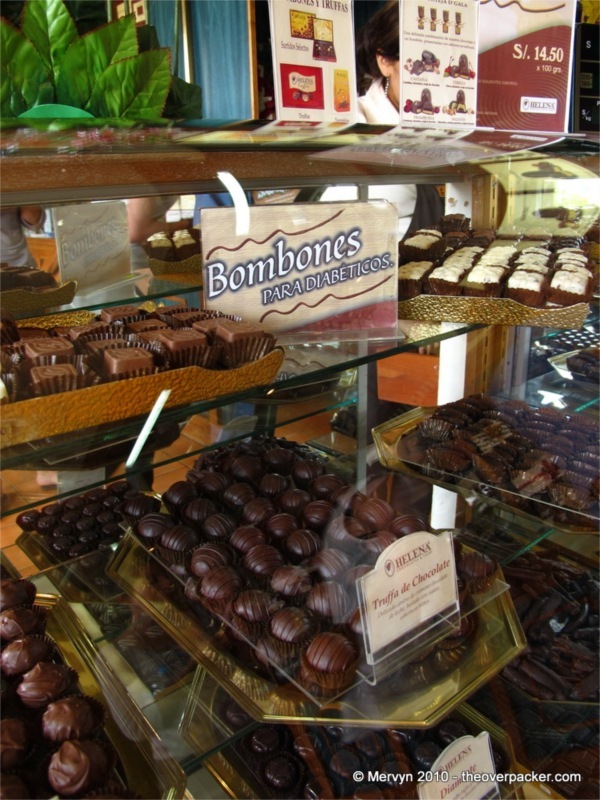 After sampling local confections for free, we all opted to buy a little extra for the road. After that, our day began in earnest. 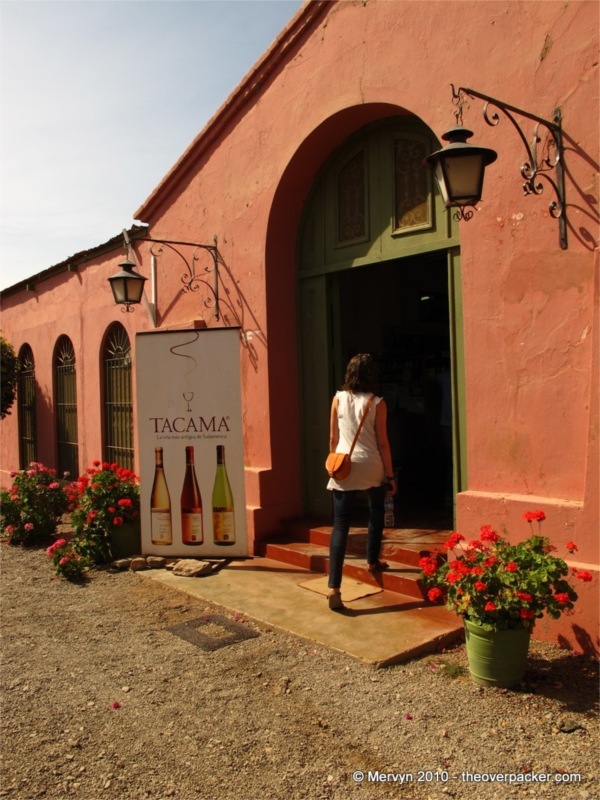 Next up was Tacama, a local industrial wine producer. 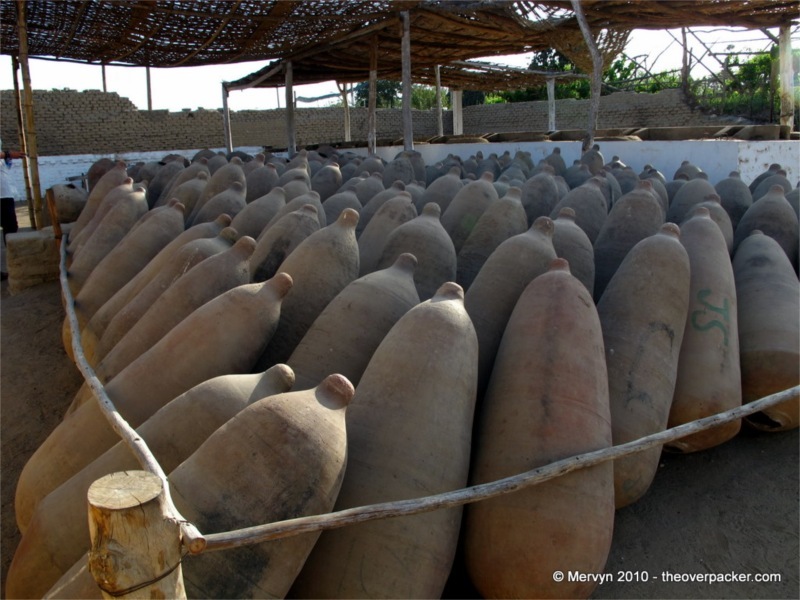 Most of their bottles are for export, though they make some vino for the Peruvian palate (a little sweeter and dryer, if I recall). 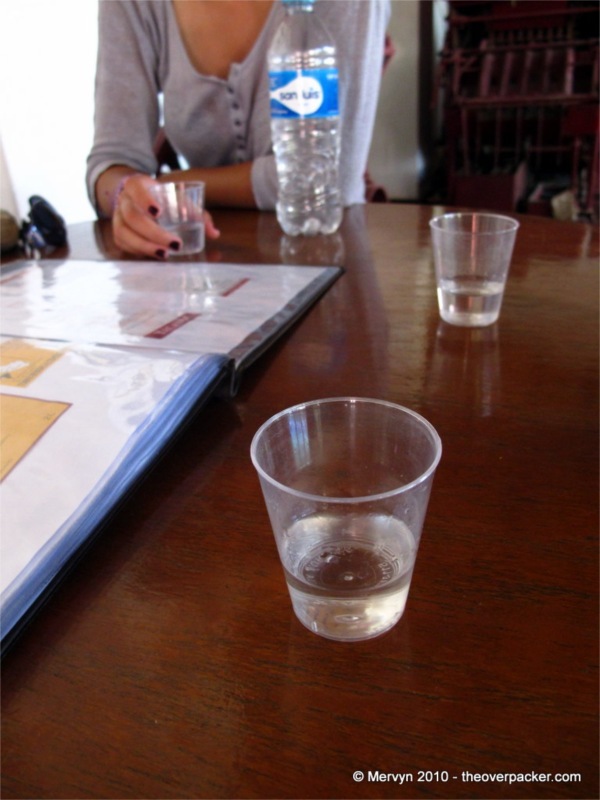 After learning the nuances of wine production from our guide (all in Spanish) we sat down around a table and sampled some wares: two (three?) kinds of sparkling wine, one (two?) rosés, and four (five?) 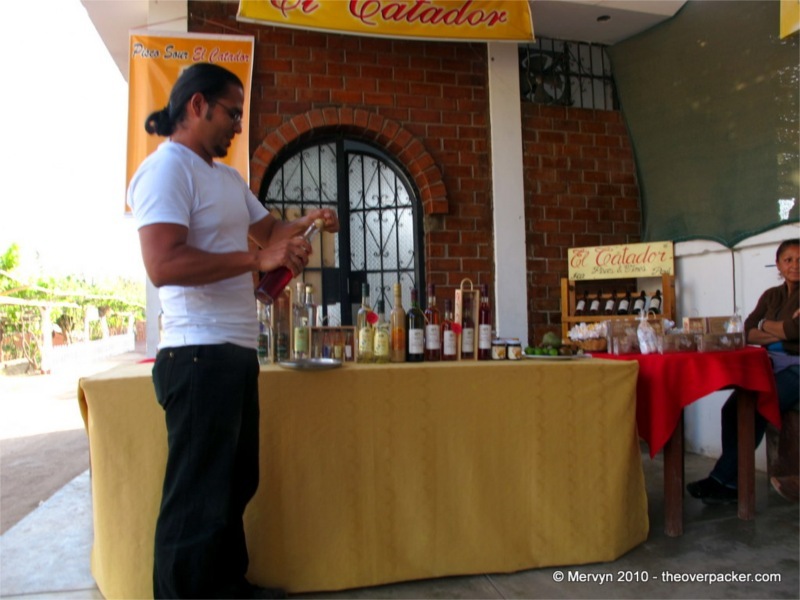 shots of straight pisco? 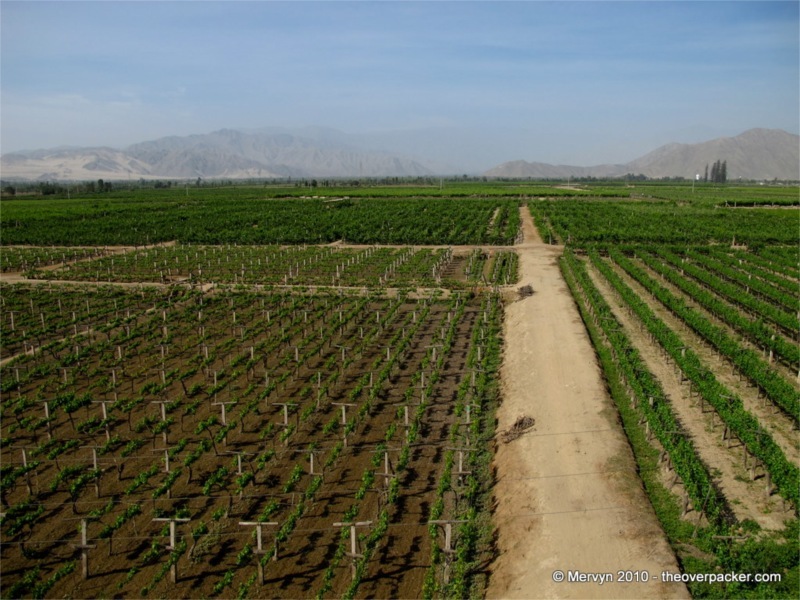 Through our guide—and through experience—we learned that pisco is 40% alcohol; basically Peru’s version of vodka (and just as easy to drink). Every once in a while, Willie joined in on the festivities. 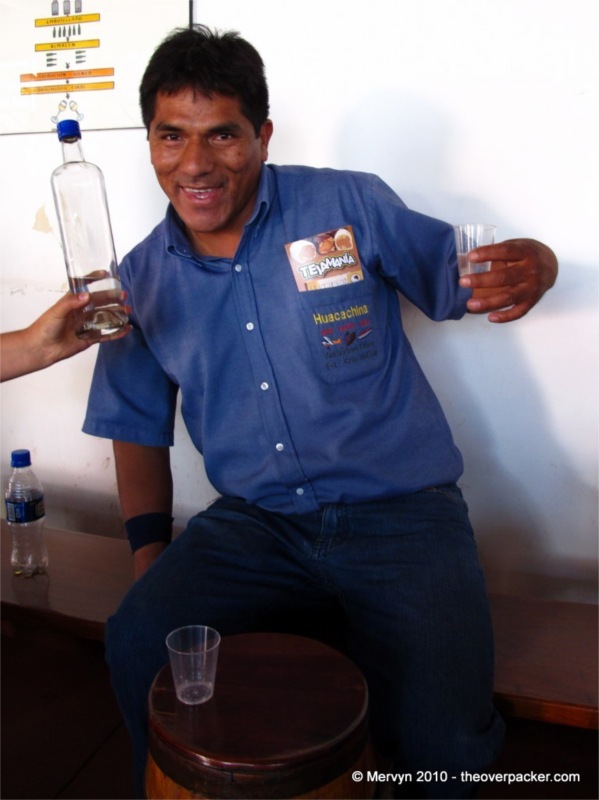 “You breathe, hold it in your mouth for five seconds, then <swallowing>, is not so bad.” After the third pisco, I kind of believed him. “You mean Amore de ICA.” I said. Bouncing down a dirt road to our next destination, Willie fumbled through CDs looking for the right mix. He settled on The Eagles. “Tu eres de California, si?” Si, Willie, yo soy. With that, the whole car was belting out The Eagles classic. Mid-Hotel California, Willie stopped the car in the middle of the dirt road, hopped out, and serenaded us with an air guitar solo. “Any time of year! You can find us heeeere!” Indeed. 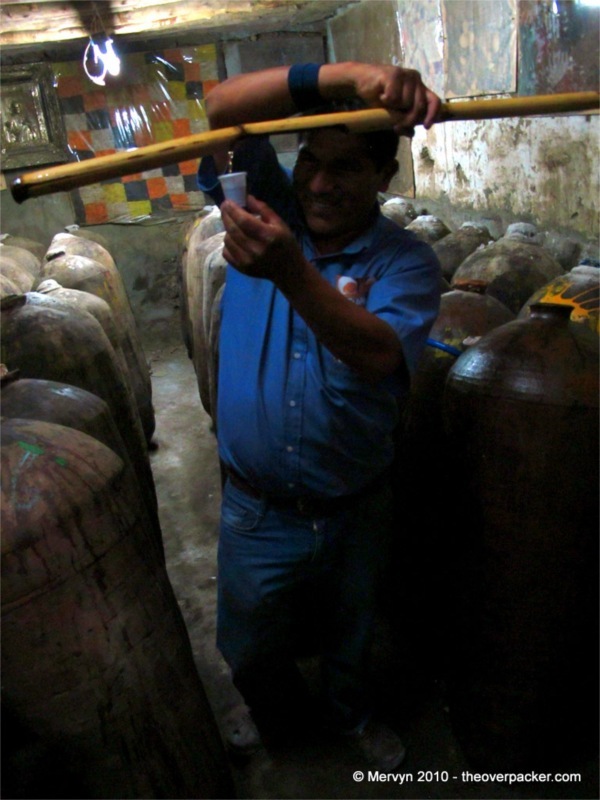 The artisanal wine place we visited next was a different experience from the industrial one (sorta). 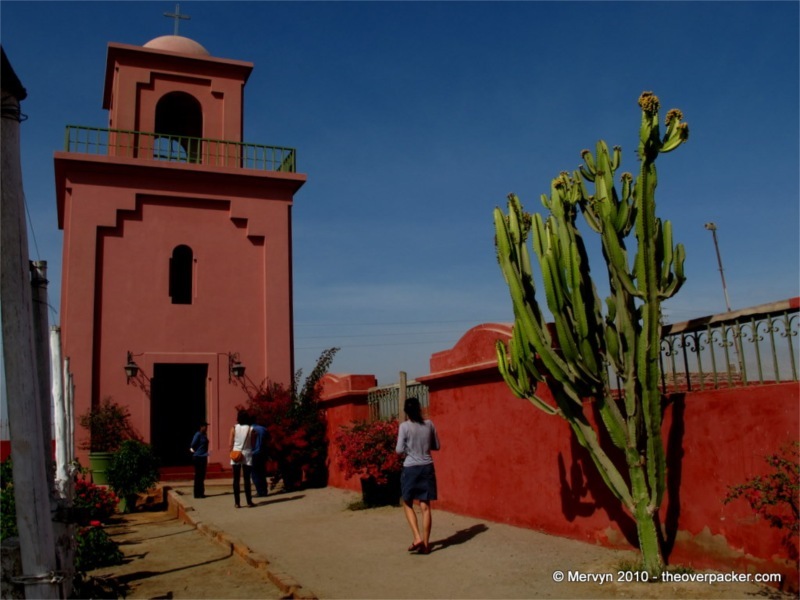 Differences: they produce only small quantities of wine; everything is made old school Peruvian-style (crush done by hand/feet; fermentation done outdoors in clay pots, not barrels; giant outdoor cauldron and fire pit used to heat the wine); guide speaks English. The one similarity: they serve their tastings hard and fast. Very fast. 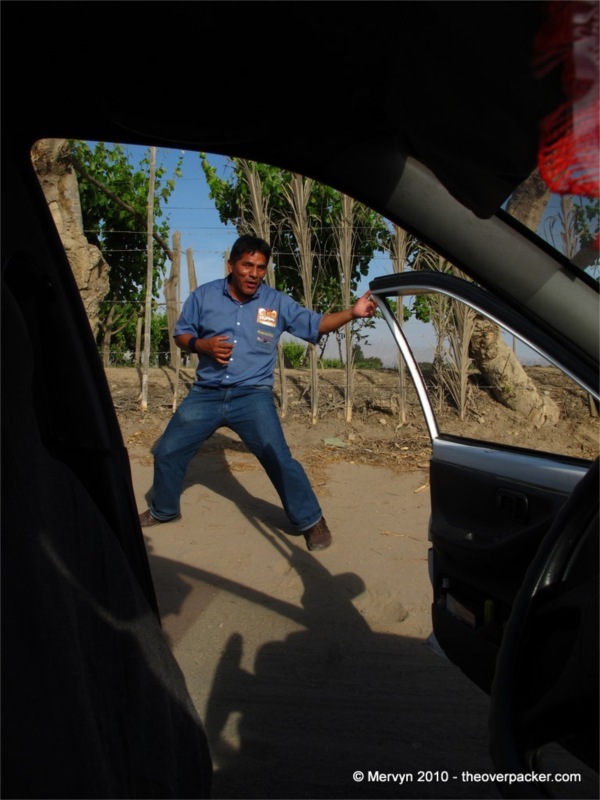 Five, six, or seven tastes later we’d bought a bottle of pisco and were back in the car on our way to a “very special” winery “for locals.” Willie didn’t disappoint. There were no Westerners on our impromptu tour. Everyone was young and sounded like they were from Ica. Same clay pots as the artisanal place, but this time our tasting was directly from the containers themselves. Willing dipped a bamboo stick into various pots and poured and poured and poured. We ended up buying a 5 sole ($1.75) bottle. Then MJ happened. Back in the cab, Willie’d switched up the mix and the most famous opening baseline in pop music blared through the speakers. That’s right kids: Billie Jean. Our rolling karaoke party cruised through the streets of Ica. Once again, Willie had to stop the cab, hop out, and give us his roadside MJ impersonation. “Crazy driver!” said Willie as he hurled himself back into the cab. By the time we got back to Huacachina, let’s just say we were quite content. The sun was setting over the towering dunes. The evening air still held traces of warmth. 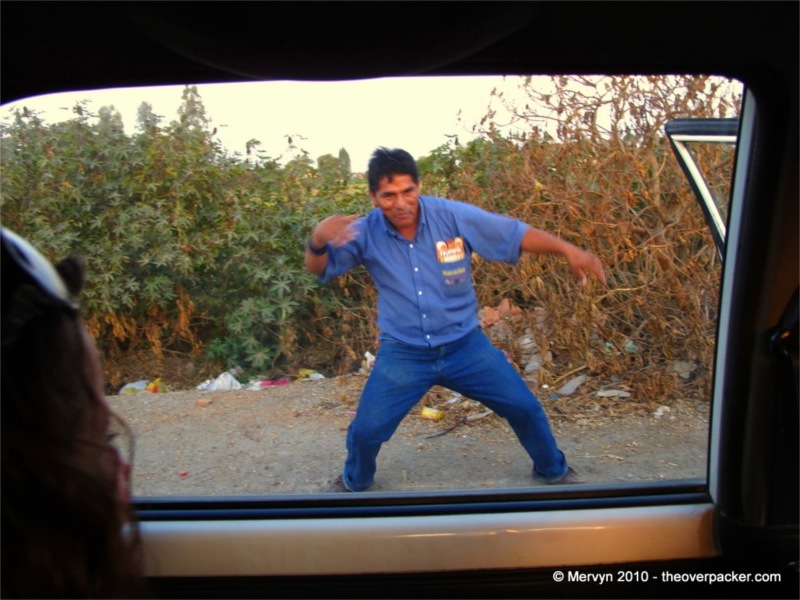 Eighties power ballads soared out our taxi windows into the falling dusk. And once again, visitors to this desert oasis learned that happiness in Huacachina means having your own dancing Willie. GALLERY: Click through to see a bonus pic that shows just how big those Ica sand dunes actually are. I’m going to take it personally that you’ve never been drunk w/me.